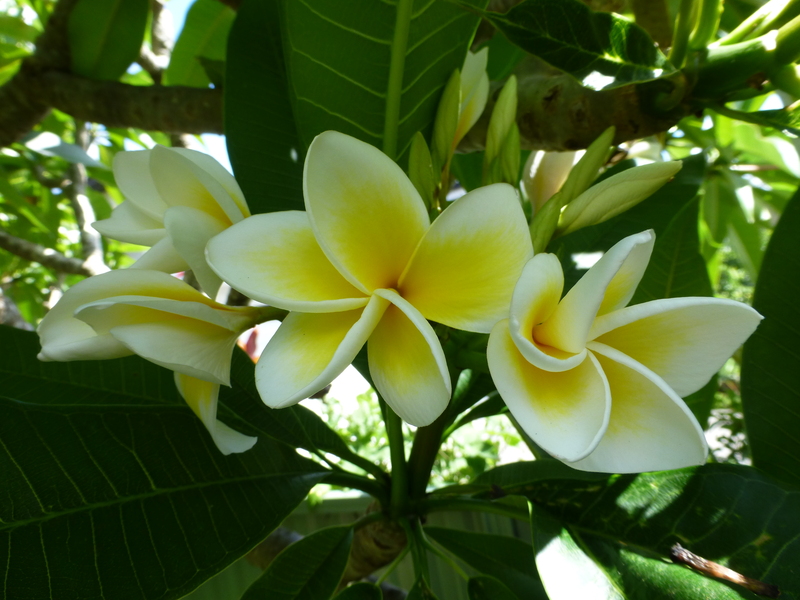 Frangipanis are unusual small trees: when bare, they resemble sculptures. To my eye, they come into their own in summer, when they are in flower. Here’s a photo of one that grows in our front yard. 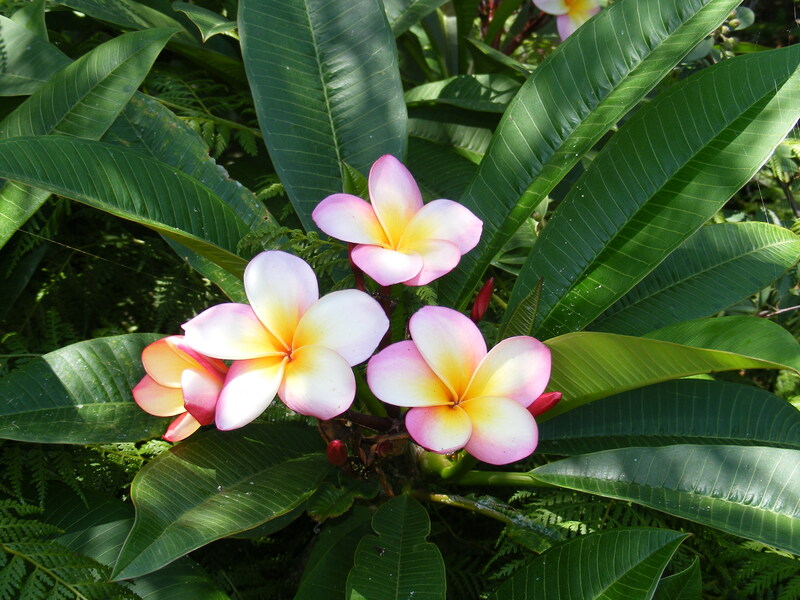 Our glorious pink Frangipani is now in bloom. It stands opposite the wonderfully-scented yellow and white variety that I featured in an earlier post. 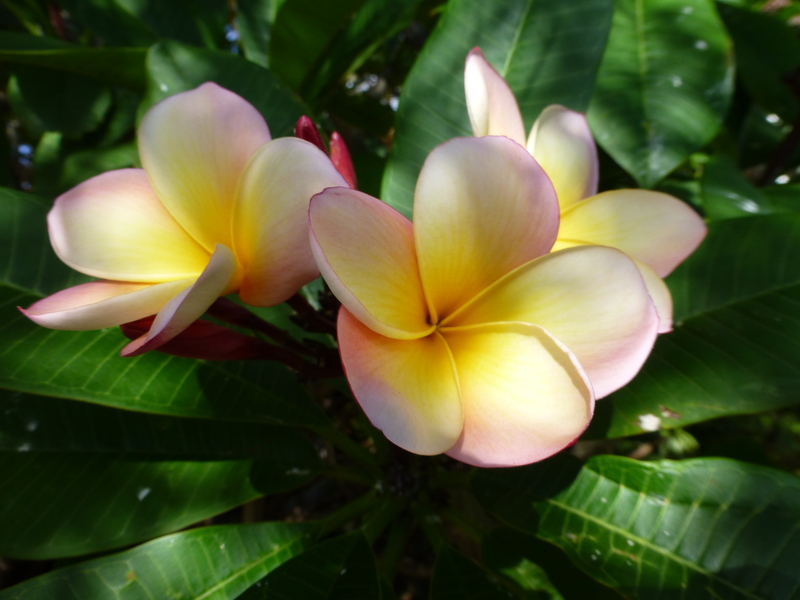 The delightful, tropical feel that these striking flowers bring to a garden is magical! But these are amazing plants, for in the winter, their bare, thick branches create an effect like sculpture.